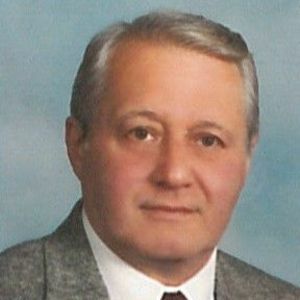 Alex Jesensky, Jr., 82 of Avon Lake passed away Wednesday, February 27, 2019 after a lengthy illness. He was born December 29, 1936 to parents Alex and Stella (nee Lach) Jesensky, Sr.
A Lorain native, Alex received his law degree in 1966 from The Catholic University in Washington, D.C. He holds a bachelor degree from Ohio State University and is a 1955 graduate of Lorain High School. After receiving his law degree, he worked as counsel for an insurance company in Washington, D.C. He returned to Lorain in January, 1968 and worked for an insurance company before practicing law privately. He had practiced criminal law and civil law as a member of Elyria and Avon Lake law firms. He retired after 25 years as the Lorain Municipal Court Magistrate. Alex was a member of St. Joseph Catholic Church. He was a cancer survivor and enjoyed cooking, painting and fishing. He is survived by his beloved wife Karen (nee Markley); loving daughter Jolie Jesensky and step-children Donnie and Ronnie Gray; dear brother of Jeannette Salkowitz (the late Robert) and Edward Jesensky (Jan); dear uncle and friend of many. He is preceded in death by his parents Alex and Stella (nee Lach) Jesensky, Sr. and his step-son John Gray. In lieu of flowers, memorial contributions may be forwarded to The Talbotines of the Immaculate Conception of Mary 522 Hyannis Port Avon Lake, OH 44012. Add your thoughts, prayers or a condolence to Alex's guestbook.